The bathroom is one of the most frequented rooms in any home. Homeowner clients will undoubtedly want to improve and refine their existing bathrooms as part of a home remodel. ProSource® of Tulsa has a broad scope of products and materials that trade pros can take advantage of while they remodel their client’s bathroom. Both trade pros and clients alike will also enjoy the wholesale pricing we offer in our showroom. 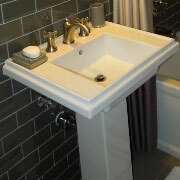 The bathroom sink is an important part of the visual character of your client’s bathroom. That’s why it’s important to find a bathroom sink that sets the aesthetic of the client’s bathroom. At ProSource, you’ll find sinks made from marble, porcelain, and much more, with a variety of mounting options. To better accent your bathroom, look at your sink’s faucet. While it seems simple at first glance, it serves as a way to better express the decor and atmosphere of the bathroom. 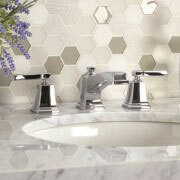 Pair your client’s new sink with an elegant new faucet from our showroom. When remodeling a bathroom, the shower cannot be overlooked. At ProSource we offer an incredible array of shower heads, handles, doors, and other accessories so that you can create a truly unique shower for your client. 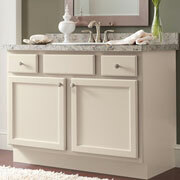 The vanity is becoming a fast favorite with homeowner clients. Beyond its luxurious and refined appearance, it also provides the bathroom with necessary storage space. It’s also a convenient place to mount a sink and faucet. 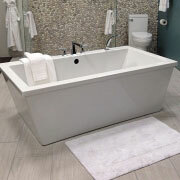 As one of the major fixtures of any bathroom, the tub is the focus of much of a trade pro’s attention when they are completing a bathroom remodel. Meet with our bathroom design specialists to find a tub made from stylish marble or practical fiberglass that will fit into any bathroom. The toilet sees the most use of any of your bathroom fixtures. That’s why you can find so many options and choices for toilets at our showroom in Tulsa. 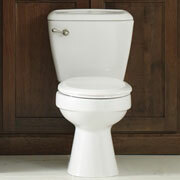 Trade pros can treat their clients to a comfortable new toilet that is eco-friendly and water efficient. We service Tulsa, Broken Arrow, Muskogee, Sapulpa, and Sand Springs, Oklahoma. The ProSource of Tulsa showroom is conveniently located in Tulsa, Oklahoma and serves all of the neighboring cities including Adair, Avant, Barnsdall, Bartlesville, Beggs, Big Cabin, Bixby, Boley, Boynton, Braggs, Bristow, Broken Arrow, Castle, Catoosa, Checotah, Chelsea, Chouteau, Claremore, Cleveland, Collinsville, Copan, Council Hill, Coweta, Cushing, Delaware, Depew, Dewar, Dewey, Disney, Drumright, Eucha, Eufaula, Fairfax, Fort Gibson, Foyil, Glencoe, Glenpool, Gore, Hallett, Haskell, Henryetta, Hitchita, Hominy, Hulbert, Inola, Jenks, Jennings, Kansas, Kellyville, Ketchum, Kiefer, Langley, Lenapah, Leonard, Locust Grove, Mannford, Maramec, Milfay, Moodys, Morris, Mounds, Muskogee, Nowata, Oakhurst, Oaks, Ochelata, Oilton, Okay, Okemah, Okmulgee, Oktaha, Oologah, Osage, Owasso, Park Hill, Pawhuska, Pawnee, Peggs, Porter, Preston, Prue, Pryor, Ramona, Redbird, Rentiesville, Rose, Salina, Sand Springs, Sapulpa, Schulter, Shamrock, Skiatook, Slick, Spavinaw, Sperry, Stidham, Strang, Stroud, Taft, Tahlequah, Talala, Terlton, Tulsa, Twin Oaks, Vera, Vinita, Wagoner, Wainwright, Wann, Warner, Webbers Falls, Weleetka, Welling, Wynona and Yale.